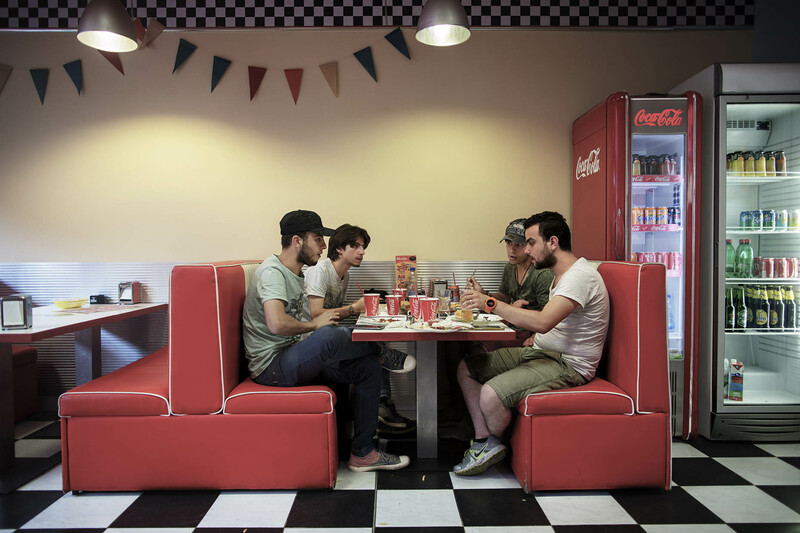 The four Syrian friends eats lunch at a fast food restaurant in Pancevo outside Belgrade in Serbia. They stay in the small town for some days, planning the next part of their journey trough rest of Serbia, Hungary, Austria to Germany. They buy new clothes at Hennes Mauritz to get a more European look.